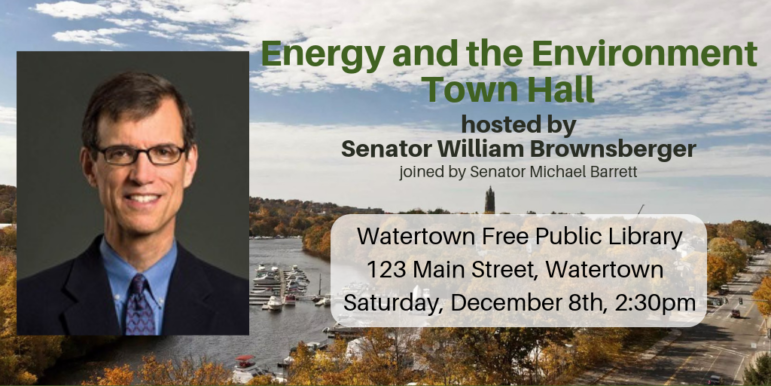 Senator Will Brownsberger will host – alongside Senator Michael Barrett (D-Lexington), Transportation for Massachusetts‘ Executive Director Chris Dempsey, and the Environmental League of Massachusetts‘ Legislative Director Casey Bowers – a town hall discussion on the future of energy and environmental policy in Massachusetts. WHEN: Saturday, Dec. 8 from 2:30-4:30 p.m. This event is open to the public and all are encouraged to attend to learn more and ask questions.